We are EXCITED about every school and every student we serve-pre-K through middle school. Our goal is for all students to find a book (from our onboard inventory of over 7000 gently used and brand new books) that they will enjoy reading recreationally. Our ultimate goal is that they will develop a desire to read more, and, in turn, improve their reading skills. 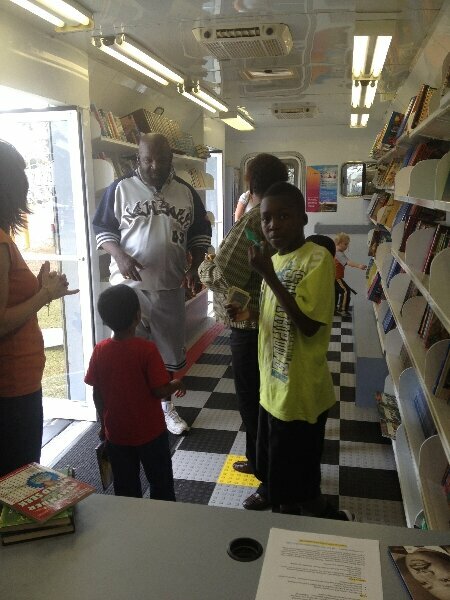 From our multiple visits, they will also be able to build their own home libraries. School staff participation is CRITICAL to the success of our visits. We REQUIRE TWO school staff members to facilitate each visit-a librarian and/or a reading specialist are the best choices. The first staff person’s responsibility is to introduce each class and their teacher to what is expected and what the procedures are. We have an informative banner on the outside of our trailer that each class, including their teacher, is to read and understand before boarding (even after multiple visits). Another responsibility of that school staff person is to make sure the next class is on time and ready to go when it is their time to board to ensure the schedule runs smoothly. The second staff member should be the librarian or reading specialist will be on board to assist the teacher approve student’s book choices. It is too difficult for the teacher to do this properly without help. Teacher participation in helping their students choose an appropriate book is essential. Books chosen and approved should be CHALLENGING but ENJOYABLE! Depending on the class size, we recommend scheduling of 10 minutes (up to 18 students) to 15 minutes (up to 28 students) per class. Students pre-K to kindergarten typically take much less time. We would appreciate a 15 minute break for lunch if time allows. 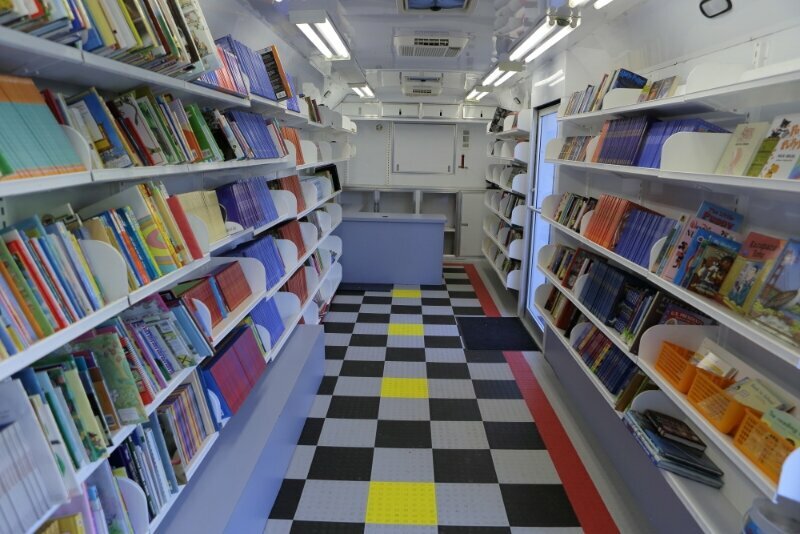 For larger elementary schools (600-900 students), we can serve pre-K and kindergarten classes as well as 1st graders from our portable shelves at the same time that the higher grade levels are on the Big Rig. For the larger schools where we need to use the portable shelves, a third staff person is required. Because our availability is limited, we will ONLY serve schools that can BEST serve their students from our visits. We will now only serve schools that are able to meet our staff requirements. 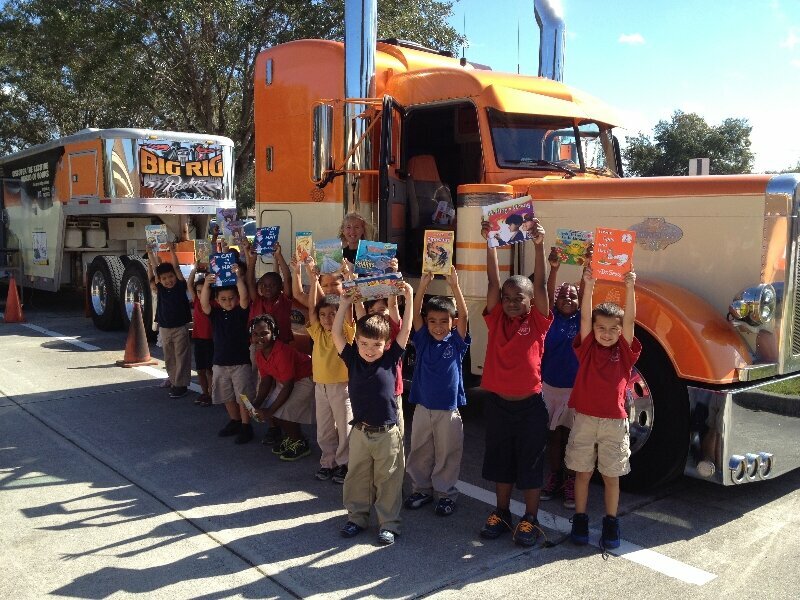 We spend a lot of our own personal time and finances to operate Big Rig Books and we will serve where we are best able to have the biggest impact on the children we serve. 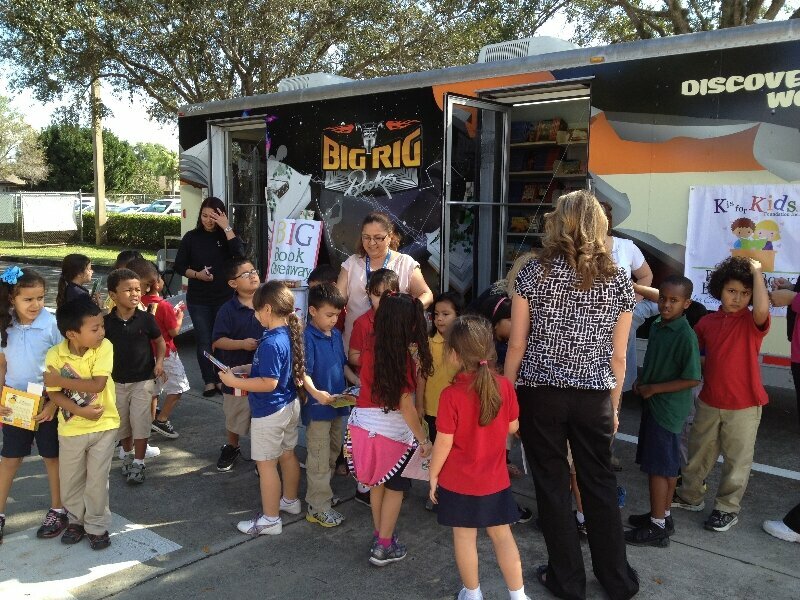 Our goal is to build long lasting relationships and visit schools regularly and continually thus making Big Rig Books a part of your students academic experience. Typically, we serve the Chicago area from May through October and the Fort Myers, Florida area from November through April. We are also open to serving special events and summer school programs if they are properly facilitated and the children being served are from the demographics that are represented in our mission statement. 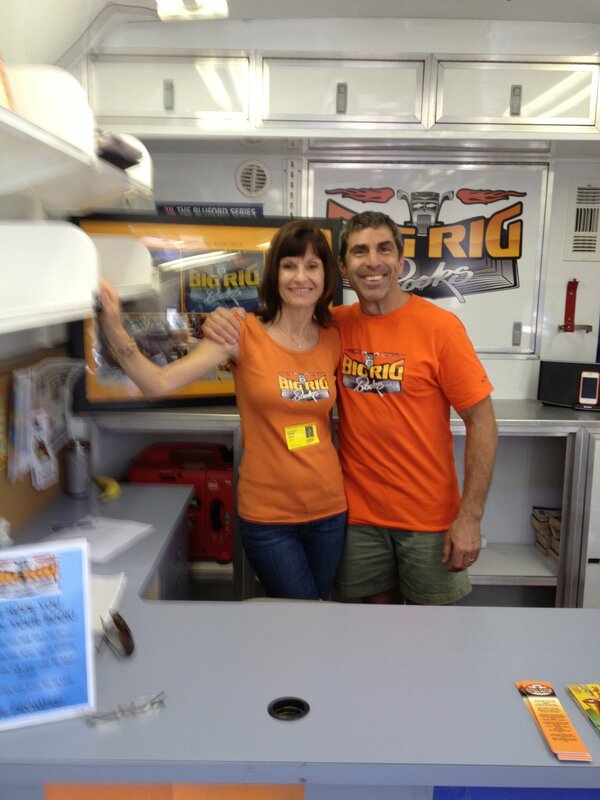 If your school is interested in developing a relationship with Big Rig Books then please contact us! 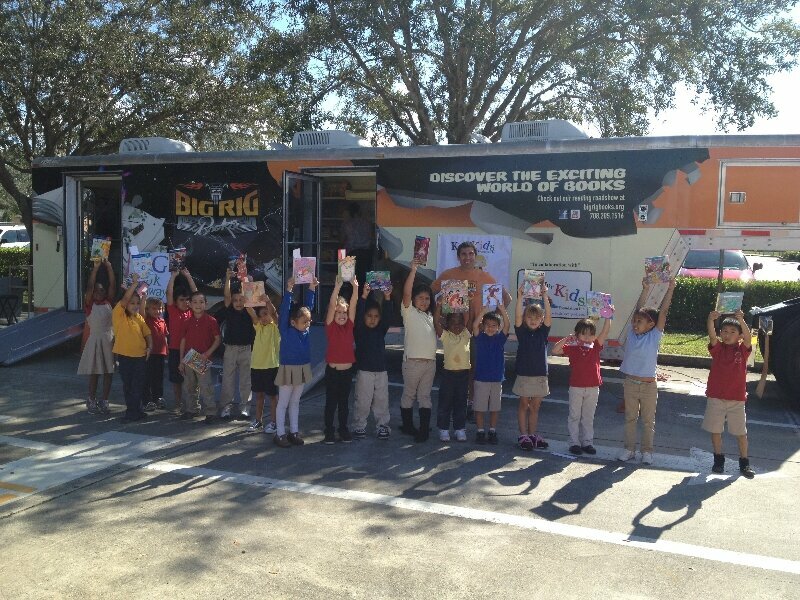 Remember, Big Rig Books is TOTALLY FREE* for the schools that qualify (a 85% or higher Title 1 student population). *We have recently devoted half our rig to books for sale. 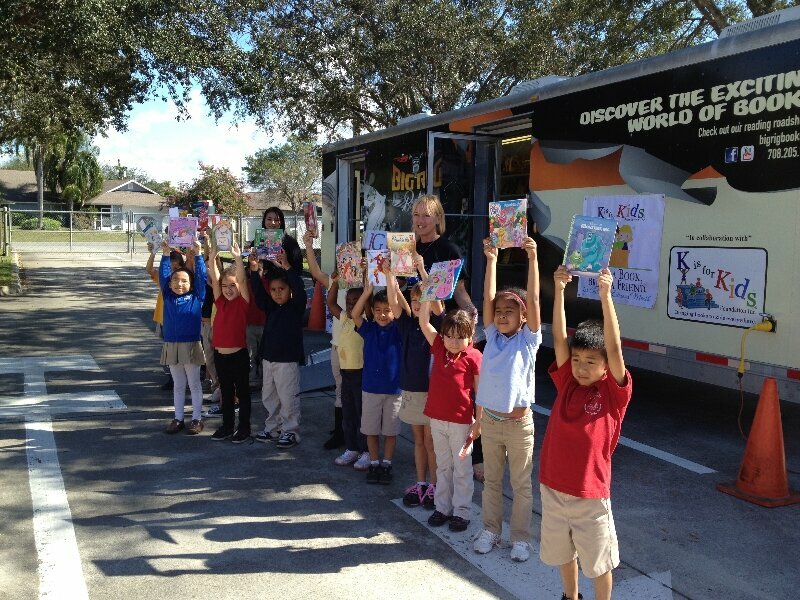 Each student is allowed to choose one free book but they can purchase as many books as they desire. 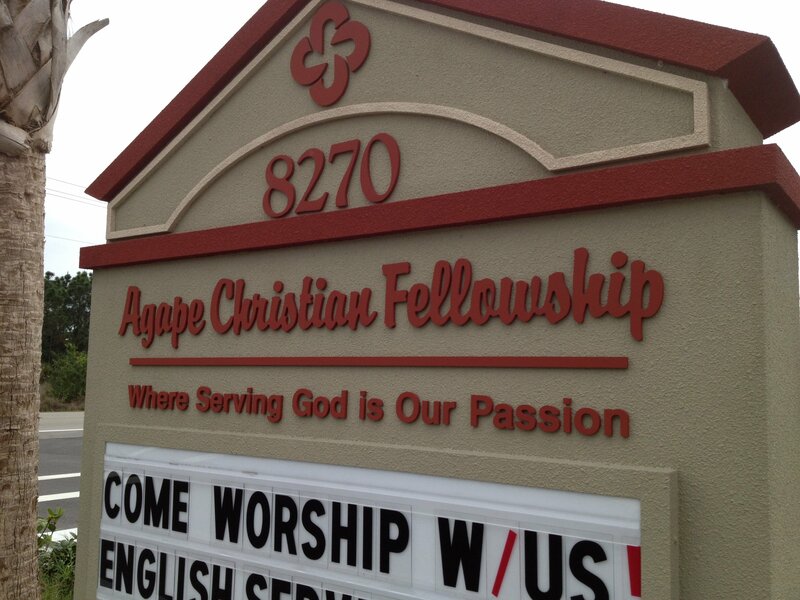 We sell them at our cost (typically between $1.00 and $2.00). 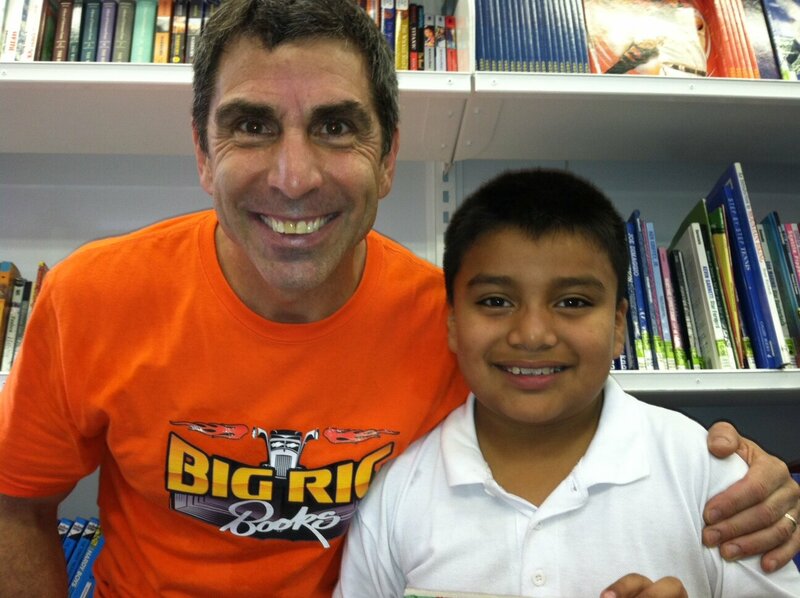 Our goal is to help students build their own home libraries and provide them as many books as we can. Schools not qualifying for free books will be considered and are still encouraged to contact us.